Should Rampancy Have Halo Fan Fiction? Okay, the results from the last poll are crystal clear: most of you either don't know or don't give a damn about kill-in-order slayer games. Which means it's time for a new poll. Deimos Fawkes has updated a story on the Subnova news page, indicating that their transition to a new bandwidth provider may not incur a service outage as originally thought. As part of CobaltNova's new image, they've added a section with three (soon to be more) essays on PC Halo. Two are on teamkilling... well, scratch that, they're all about teamkilling. Gaming community site Subnova, home to many longtime Bungie fans and host not only to the Subnova website, but to the Subnova HL hotline server and several dedicated Halo servers, is encountering a problem with their connectivity provider, SprintLink. It's possible that if a new provider isn't found quickly, there may be an interruption in Subnova's services. Thanks Deimos Fawkes. [image:6635 left hspace=5 vspace=5 border=0]Although all the awards for the ultimate Marathon or Bungie fan may have been given out already, that didn't stop Tristan Bayless from choosing what has to be the coolest word in the Bungie lexicon to become the basis for his vanity license plate number. Emil from CobaltNova already has made his own 2004 prediction come true, and it's still 2003. CobaltNova has reinvented itself as a Halo-related art site. Look Out, Rampancy Is Spreading! Matt at Break Point Halo posted that a new site has opened, apparently called Halo Rampancy. No relation to us... other than, well, you know, being about Halo and having "rampancy" in the title. Smithers, release the hounds... I mean, the lawyers! Just kidding. This is just a note to everybody, since in the server logs over the past two days I've seen a lot of failed logins. In order for you to create an account and login, you have to use a valid e-mail address, because the system will use that to e-mail your password to you. We don't sell these addresses anywhere, and they are not displayed on the site, so they cannot be harvested by spammers. As you'll note, we don't sell advertising space here-- the only commercial activity is some sponsored links to Amazon, and you can just plain ignore those if you want. Right now, the only significant advantage to having an account is that you can use your name on your forum posts (nonusers are just listed as "anonymous", as on Slashdot) and users also get a Blog, their own personal space for writing pretty much whatever they like (as long as it isn't abusive to other users or unconscionably profane. And yes, I end up being the determiner of what is profane and abusive, and even if I can't define it-- I, like the Supreme Court-- know it when I see it. 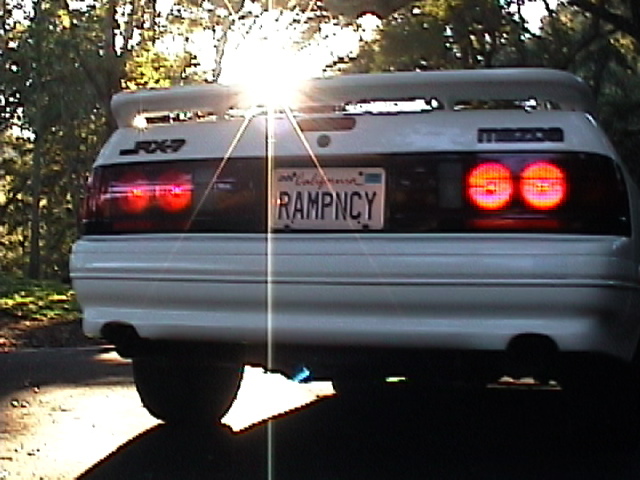 Registered users also can use Rampancy to send and receive private messages through the site to other site users, and can receive notifications by email when they receive private messages and when new stories are added to Rampancy; these functions are optional and entirely under user control. At any rate, although those are the only restrictions currently placed on the Anonymous accounts; however, if necessary, in the future there may be more. I hope it's not necessary. Will you get a Microsoft .NET Passport to use the new Bungie.net site? You bet, wouldn't want to miss out. SketchFactor writes on Bungie.net that the .NET conversion has been delayed at least until Monday. You can amuse yourself in the interim by reading the Bungie.NET FAQ. So you may be asking yourself, what is CarnageReport.com? Simply, we are a site dedicated to tracking sophisticated HaloPC statistics on individuals, providing a location for clans to meet and challenge one another, and supply general Halo news. These three elements are what make CarnageReport.com. As here on Rampancy, some features require free registration. Steve at Forerunners.org wrote to let us know that Forerunners.org was not "down for repairs" as we wrote earlier, but was down in order to be moved from one server to another. Brian at Halo.ibonk.com writes that they've named three new moderators to help out with the site: Shaft, BradLee and Alx. Everybody drop by and say hello. In the last couple of days, two Halo sites: Forerunners.org and Break Point Halo, have both had to go down for repairs and have come back up. Everyone applaud. We've added a few more minor features to Rampancy today. The first is the Amazon shop, which we've already mentioned. Clicking that link automatically pulls Halo-related items in the computer & videogames categories from Amazon's database, and if you buy an item using one of those links, Rampancy gets a 5% commission. We also plan on using that as a way to select special Rampancy readers to reward somehow in the future... more on that later.